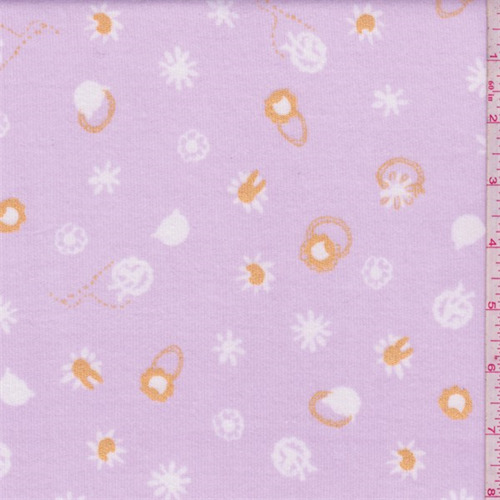 Orchid pink with a whimsical floral print that is accented with a metallic orange. Dress weight 100% cotton knit with a soft, slightly brushed surface. Slight mechanical stretch in the width, nice drape. Suitable for knit tops, dresses and activewear separates. Machine washable.